Simplify your travel routines at Fairfield Inn & Suites Alexandria. Situated in the heart of Louisiana, Alexandria is a beautiful city laden with rich culture and history. Stay active while visiting popular nearby attractions including Kent Plantation House, Alexandria Zoo and Kisatchie National Forest. After a busy day exploring the city, make yourself at home in spacious hotel rooms and suites featuring ergonomic workspaces and free high-speed Wi-Fi to help you stay on top of work effortlessly. In the morning, enjoy our complimentary breakfast buffet, always prepared with fresh ingredients. After fueling up, break a sweat in our fitness center equipped with cardiovascular machines, free weights and exercise mats, then wrap up your workout with a refreshing dip in our outdoor pool. 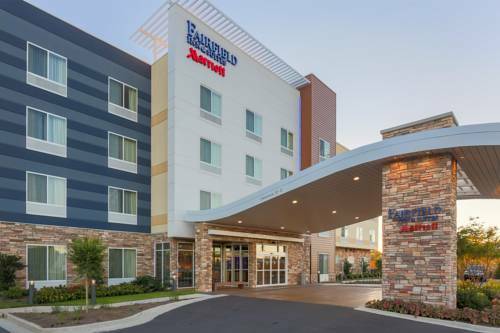 At Fairfield Inn & Suites Alexandria, youre our #1 priority. Ask us about The Fairfield 100% Guarantee ?, where we promise you'll be satisfied or we'll make it right. That's our commitment to you.